Allows UK, Danish, Dutch, Norwegian bayonet type autogas filling point to refill using DISH type autogas filling guns in eastern and southern Europe. 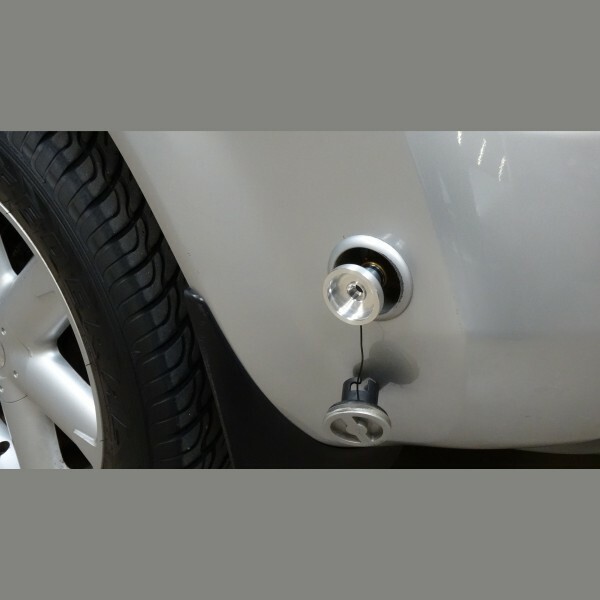 This UK BAYONET W21.8 TO DISH LPG ADAPTER allows a UK, Danish, Dutch and Norwegian Autogas LPG converted car or Motorhome ( Campers, Caravans, Campervans ) with refillable gas tanks / bottles to be filled abroad in Bosnia Herzegovina, Bulgaria, Croatia, Czech Republic, Estonia, Greece, Hungary, Italy, Kosovo, Latvia, Lithuania, Macedonia, Malta, Montenegro, Poland, Portugal, Romania, San Marino, Serbia, Slovakia, Slovenia, Sweden and Ukraine. Going abroad? If your car has a UK type Autogas filler you will need this travel DISH LPG adapter for eastern and southern European countries to use their LPG Autogas service stations. 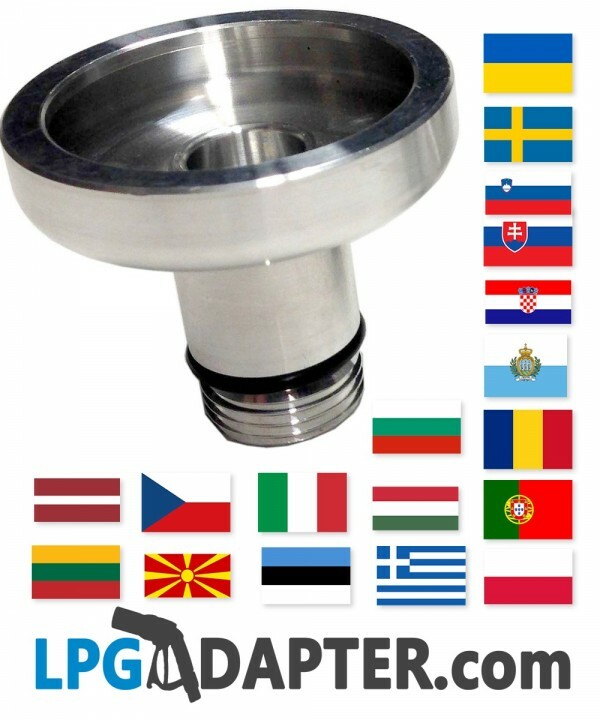 This UK BAYONET W21.8 TO DISH LPG ADAPTER is simple to use and can help you to drive economically and save money on fuel when travelling in Europe..
High Quality 100% European Product, manufactured Exclusively for lpgadapter.com and lpggpl.com.